26th July was the grilled Unagi (eel) day in Japan. 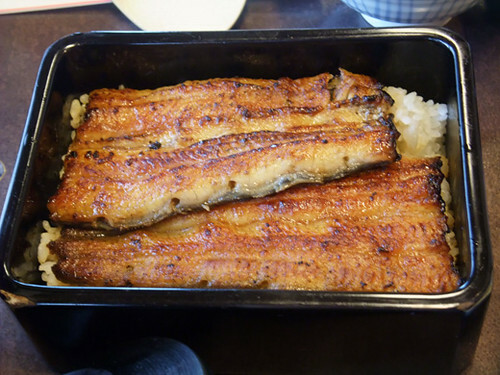 Me and my mom went to Unagi speciality shop, and enjoy sharing soft, good, and fortifying fish against muggy summer days! And we had sea bream chazuke. 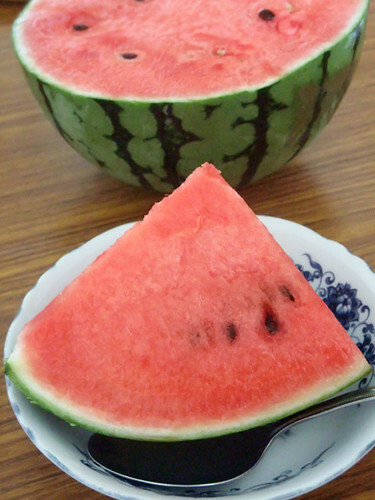 It’s also good for summer day. 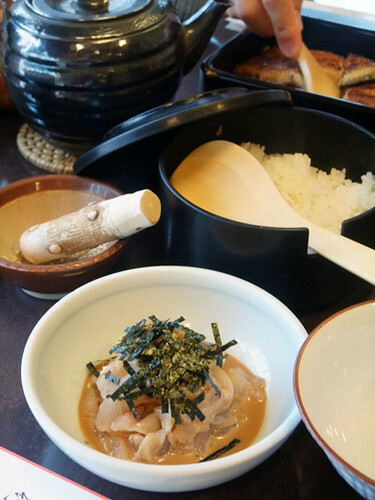 easy & tasty historical fast food… rice with sea bream sashimi that poured Japanese tea or dashi. 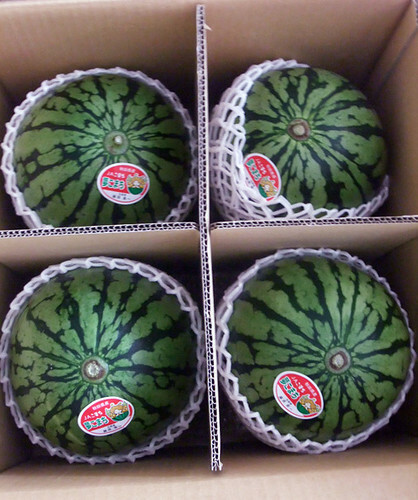 Watermelons came to my house! These are smaller than ordinary ones, still, they completely　controlled my tiny fridge! You can see how these small if compared with a spoon in front of a　slice of that. I got a Soft A Line Blouse from TSUMORI CHISATO shop. 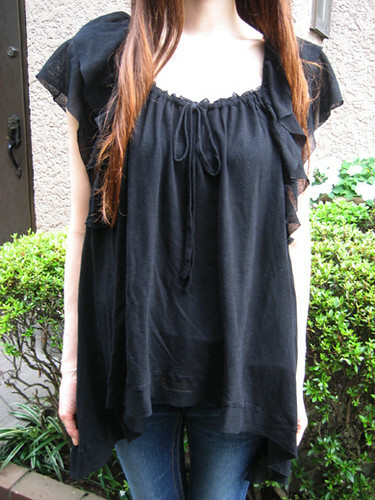 Sheer and soft drapey blouse is very comfortable to wear. I love it with soft flutter sleeves in airy lined mesh. 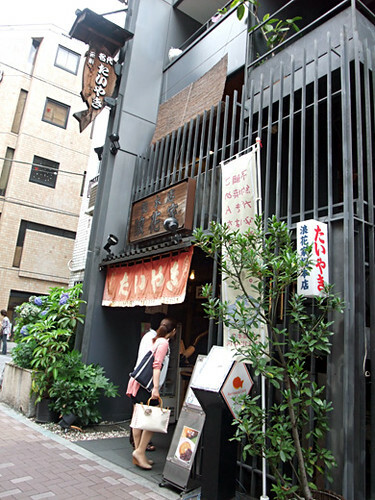 Naniwaya is famous for their Taiyaki and shaved ice. At first, Me and my friend’s purpose was their shaved ice. 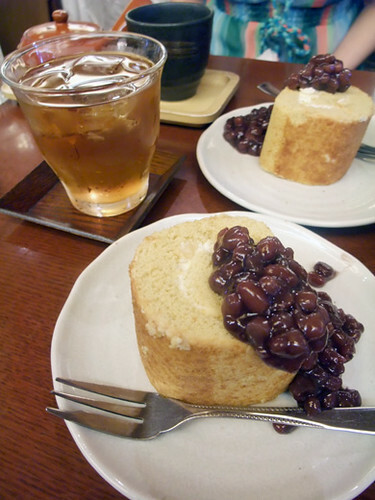 But you can see no ice on the pic… we chose their latest roll cake with red bean paste. 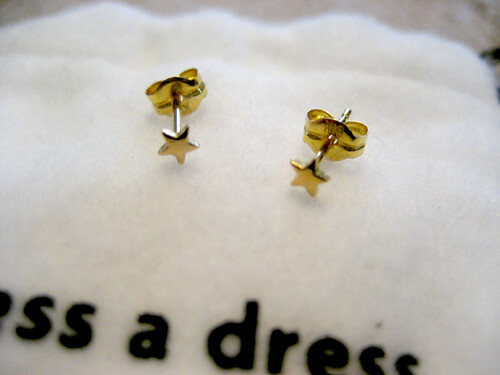 These are tiny pierced earrings that are called Ichiban-Boshi “number one shining star” from Flex Firm. 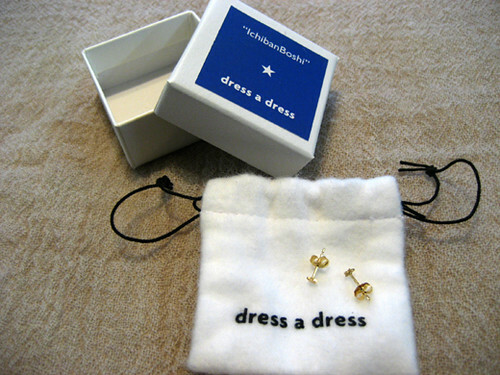 The modestly-sized earrings are so lovely and dainty and they are great for everyday wear. LE PETIT TONNEAU is a very European Bistro in Azabu-Juban. 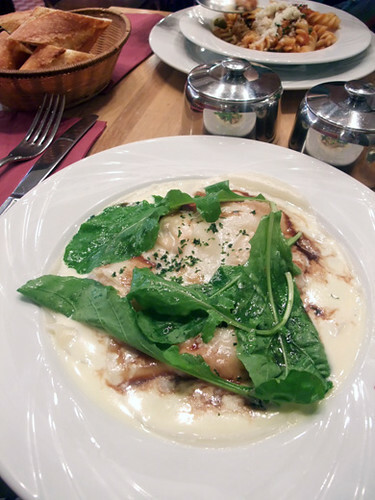 I had salmon lasagna with balsamico vinegar at 5pm. 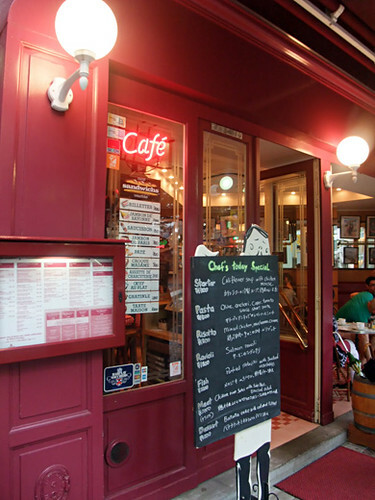 You can enjoy meals anytime! 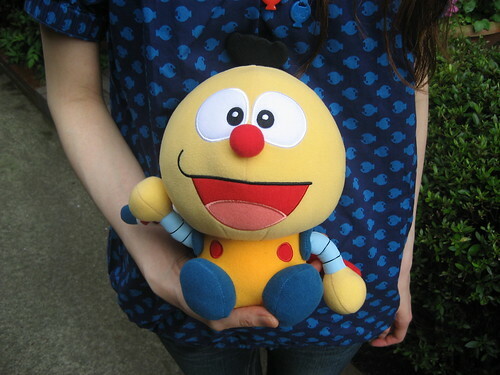 I played the Lottery of Fujiko.F.Fujio characters Fair at LAWSON, and I won stuffed Korosuke and stuffed Doraemon. Unfortunately,the fair is over,but I played it for 500 yen per play. 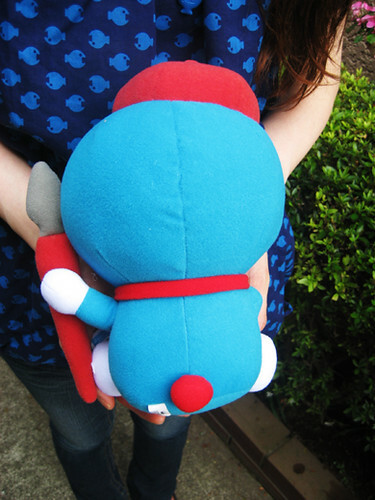 Korosuke is a companion robot built by Kiteretsu who is a scientific genius grade school boy. 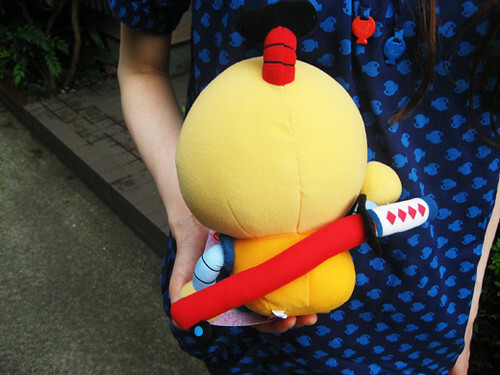 He is dressed like a samurai that is so cute. Doraemon looks like a cartoonist. 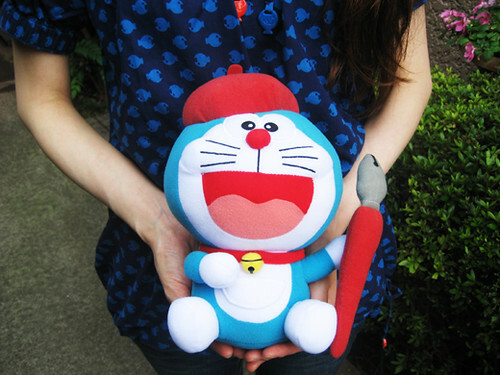 Doraemon in a red beret is sooo adorable. 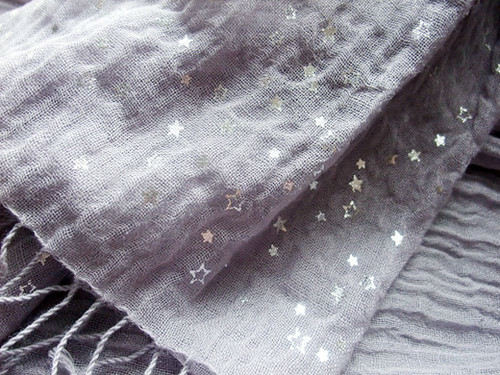 Hundreds of sparkling stars on the dull lavender shawl. It is made from linen, feels good & cool against the skin.